Is she also defecting to Digong’s party? Rumors about Vice President-elect Leni Robredo’s political affiliation circulated after she wore a black dress to her proclamation on Monday, May 30, instead of the Liberal Party’s symbolic yellow. 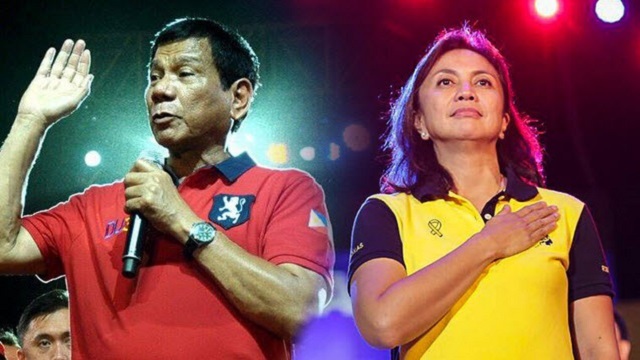 Robredo explained that it was just a simple issue of her not having enough yellow dresses to wear for the occasion, according to the Philippine Daily Inquirer. “It just so happened I only have two yellow dresses. I have many yellow T-shirts but [as for] clothes that I can wear to the office, I only have two,” she said adding that she doesn’t really like wearing colors that would make her appear darker. 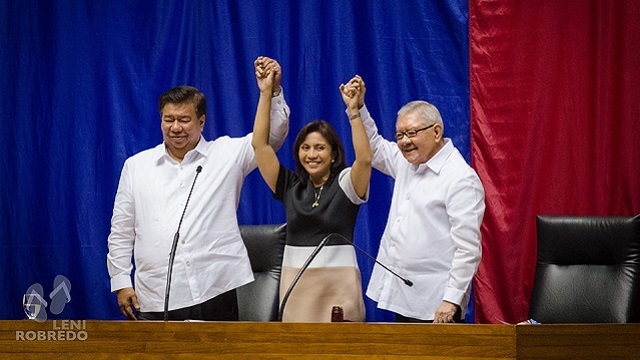 Robredo also clarified that despite the rumors of her jumping ship, her loyalty remains with the Liberal Party (LP), adding that she remains in touch with outgoing President Benigno Aquino III. “He sent me a text message congratulating me after the canvassing was over but we still haven’t really spoken lengthily again,” she said. Robredo said she is scheduled to meet with the LP bigwigs to study what she can contribute to the erstwhile ruling party, now that she is the party's highest ranked government official. “Isang bagay na pag-uusapan kung anong leadership role ‘yon, kung titular lang ba o very active na leadership role,” she told GMA News. “'Yung mahalaga sa akin, hindi sana nakakalimutan ng mga miyembro kung bakit kami magkakasama. Hindi kami magkakasama dahil sa eleksyon lang, kundi dahil sa paniniwala,” she added. Robredo was asked to be the LP's vice presidential candidate and Mar Roxas' running mate after the party's first prospect, Senator Grace Poe declined and later on ran for the presidency.